Hi everyone - it's me again. I really enjoyed writing my last post so thought I'd give it a go for a second time. I've tried to pick subjects that Alex wouldn't normally write about as well so that she can't say I'm copying. 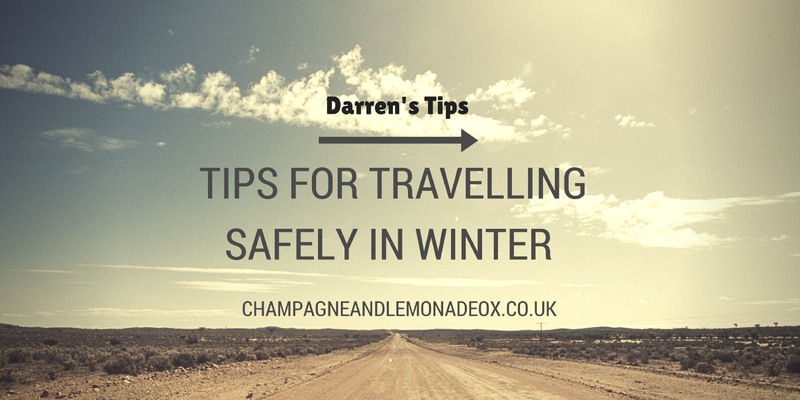 Since moving back to our home town we now both have to travel quite far to work and as Winter is on its way, I thought I'd write a post with some tips for travelling safely. Check your brakes regularly - As the roads are often wet or icy throughout Winter you need to be confident that your brakes are going to stop you if you need them to. If something doesn't feel right its always worth checking. Even if you're dreading the cost and don't want to pay, surely it's better to be on the safe side? Check your tyre pressures - This is something that not many people seem to check regularly. I'll be honest, I didn't either until recently. Having tyres that are the wrong pressure can really affect how your car drives, not to mention flatter tyres lead to lower fuel efficiency. If nothing else, keep your tyres at the right pressure and save money! Keep your fluid levels topped up - Again this is really important in Winter (remember, cars hate the cold just as much as we all do). 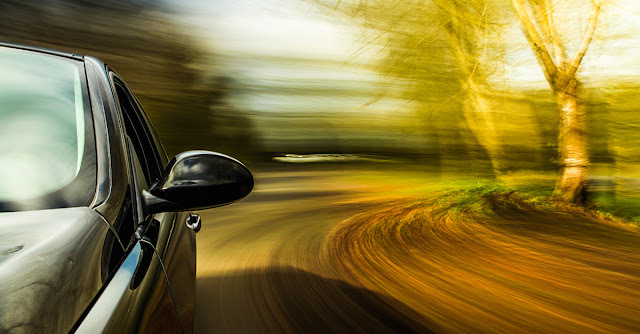 Make sure your brake fluid, windscreen wash, oil, and engine coolant are all at the right levels so that your car runs as well as possible. 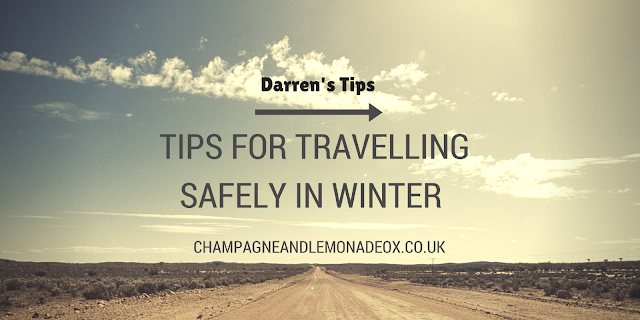 Aside from keeping your car maintained though, there are some other simple things that you can do to travel safely. For example, try not to rush around and plan your journeys to leave you plenty of time. If you're anything like me, this might be easier said than done, but I'm working on it! If you're not rushing, you're generally less stressed and can focus more on driving. Also try and avoid what I would class as risky or dangerous routes when the weather is bad. If you think they're a bit dodgy at the best of times then surely poor weather conditions can't help the situation. I know that these routes are sometimes unavoidable, but if there is another option available, it surely has to be worth considering it. Clive Sullivan Way near us in Hull for example is notoriously bad for accidents - especially when conditions are bad and it's rush hour! Although we're not a huge city, we still have a large amount of people travelling in and out of the centre every day, and when those commuters are frustrated and running late, it can lead to bad decisions being made and accidents. It doesn't necessarily have to be something you do yourself that could land you in a bad situation! Chill have recently released an infographic highlighting some of the dangers you can encounter on the roads. If you want to check it out for some more food for thought, you should give it a read!